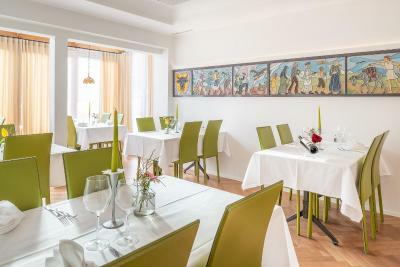 Lock in a great price for Hotel Kruezli – rated 8.9 by recent guests! Extremely well designed hotel with modern updates throughout. The bathroom was brand new and very stylish. The balcony has a nice sight. The coop is close. The breakfast was very enjoyable! 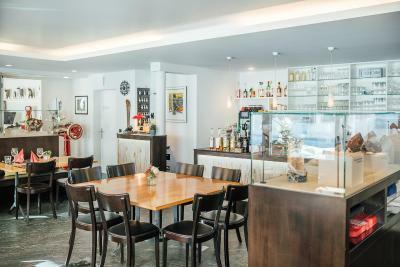 Clean, comfortable accommodation, excellent restaurant and friendly, helpful proprietor. Very pretty village. 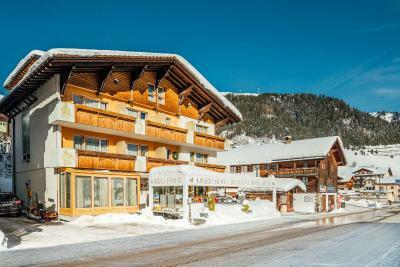 One of our favourite hotels of our 10 night tour. The staff were amazing and extremely helpful and accommodating. 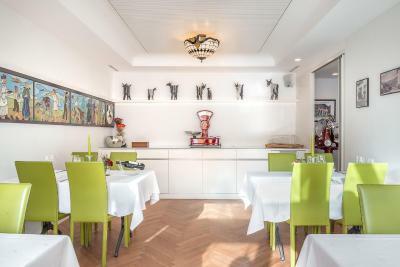 There was undercover private parking, a cracking restaurant and spacious, clean rooms. All the ingredients for a wonderful stay. Very comfortable warm room. Near the railway station. Friendly staff. Good evening meal in the hotel. Good breakfast. Dinner and bread rolls at breakfast were good. Apartment was comfortable and well equipped. Internet. 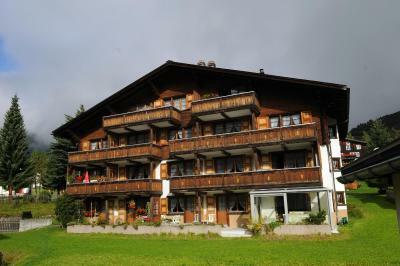 It was great unlike many other hotels in Switzerland and elsewhere. 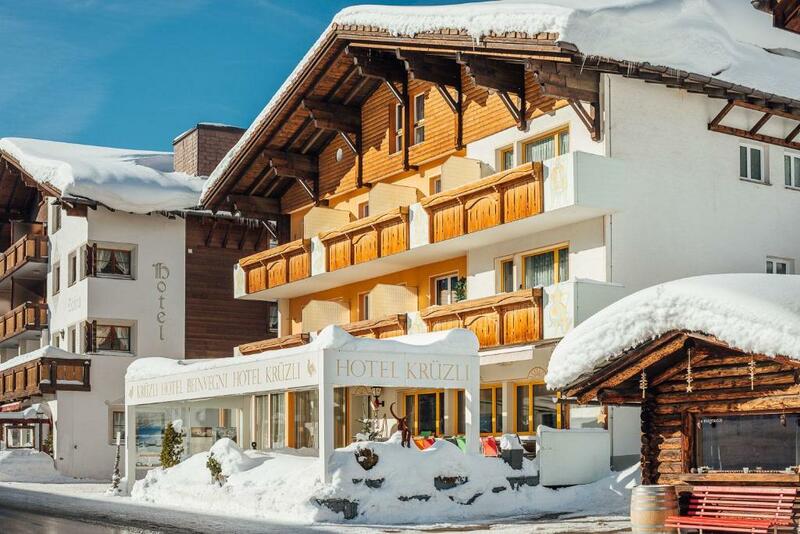 Hotel Kruezli This rating is a reflection of how the property compares to the industry standard when it comes to price, facilities and services available. It's based on a self-evaluation by the property. Use this rating to help choose your stay! 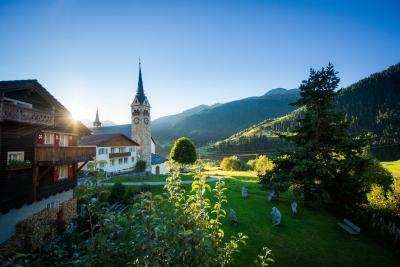 One of our top picks in Sedrun.Hotel Krüzli is located in the village of Sedrun, where the Rhine River has its source. It offers a restaurant with terrace, free Wi-Fi and discounts at the local spa resort. 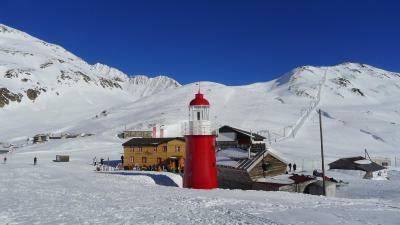 Overlooking the valley at the entrance of the Oberalp Pass, Krüzli Hotel provides rooms with cable TV and bathrooms with shower and hairdryer. Some rooms also have fully equipped kitchens and living rooms. 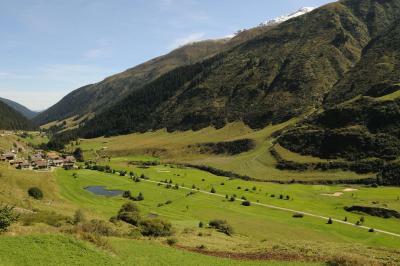 The restaurant serves lamb from the hotel’s own farm and Bündner specialties prepared with locally-obtained products. 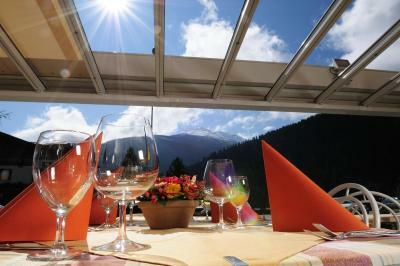 During the warmer months, guests can also dine on the restaurant’s sun terrace. 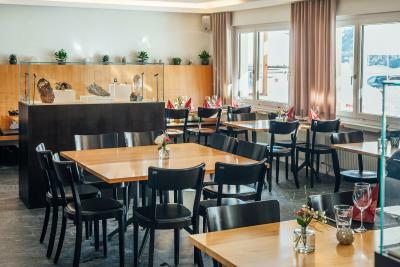 Hotel Krüzli offers discounts at the town’s Bogn Sedrun Fitness Center, with its Roman baths and several saunas and pools, both indoor and outdoor. Guests can park in the hotel's garage upon request. 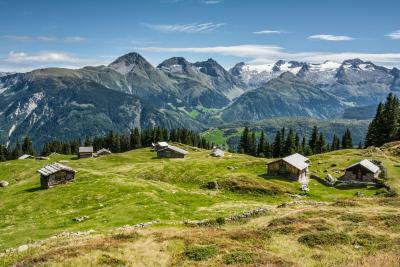 This property also has one of the top-rated locations in Sedrun! Guests are happier about it compared to other properties in the area. 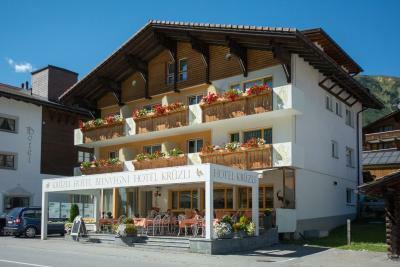 When would you like to stay at Hotel Kruezli? 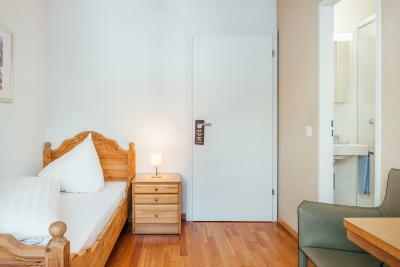 Room with attached bathroom with satellite TV, iRadio and free Wi-Fi. Spacious apartment with a kitchen and a balcony. 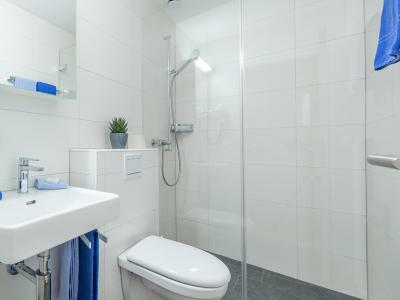 Smaller room with attached bathroom with satellite TV, iRadio and free Wi-Fi. It is close to the staircase. 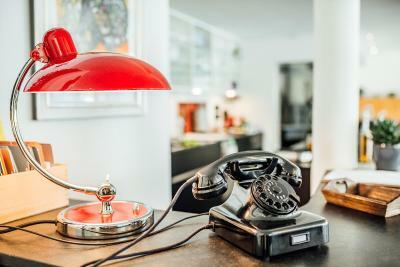 House Rules Hotel Kruezli takes special requests – add in the next step! Hotel Kruezli accepts these cards and reserves the right to temporarily hold an amount prior to arrival. Please note that during the low season, the hotel's restaurant is closed on Thursdays. 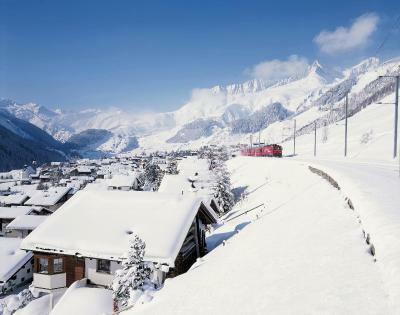 Please note that the road between Sedrun and Andermatt is closed in winter. 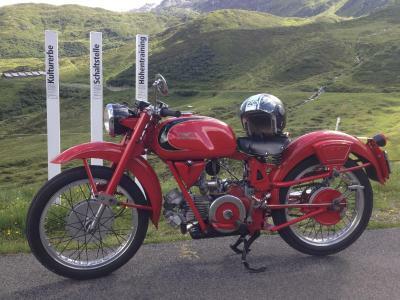 Could do with a kettle in the room for tea / coffee. Everything was perfect. We absolutely can recommend this hotel. Nice place and very helpful and friendly staff! Very poor curtains which did little to block streetlight and spotlight, leading to difficulty in getting to sleep. The restaurant seemed quite expensive but we did find a lovely little pizzeria up the road!